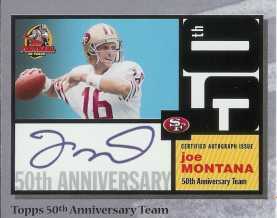 As part of the Topps Football 50th Anniversary Celebration, the company has named its official "Topps 50th Anniversary Team". Each of the following players will autograph 50 specially designed Topps Tribute cards created just for the Topps 50th Anniversary Team. 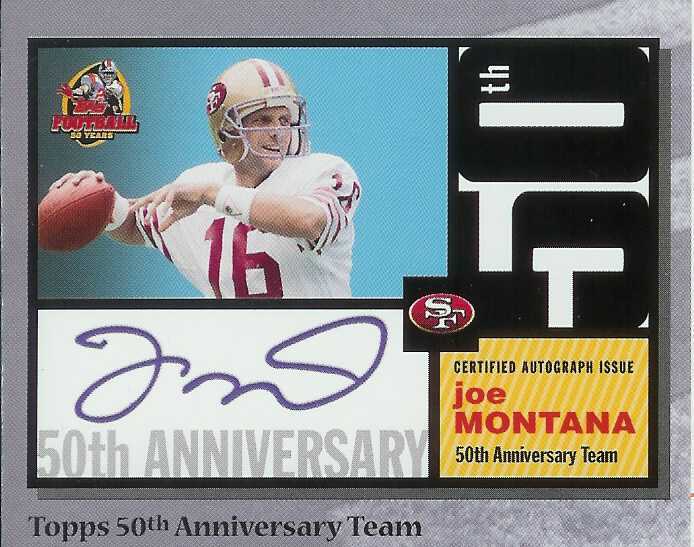 The cards (sequentially numbered to 50) will debut in 2005 Topps Football and will be seeded throughout remaining 2005 Topps Football products.